No, the legendary Silos have not been buried! It’s just that from time to time their frontman has a mind to release material that may not be a perfect fit for the band or otherwise different under his own name: Walter Salas-Humara! The name is as unique as the man! More than 30 years ago this very versatile artist came on the scene as the mastermind of alt.country-rock pioneers The Silos. Since then he has not only kept this cult band alive as a vital creative force with a sizeable output but also worked on numerous other interesting and far-ranging projects. In the summer of 2014 Blue Rose released Curve & Shake, his first solo album in 18 years. And now here’s the next one, Work: Part One. It features new versions of important songs from his long career. Work: Part One consists of re-imaginings of material originally recorded for the first three successful Silos albums – very different acoustic versions, tailor-made for the current alt.folk/Americana scene. The Silos from New York with songwriter, guitarist and singer Walter Salas-Humara as their creative heart were – starting in 1985 – one of those critics‘ darlings bands – like Velvet Underground, the later Byrds, Television, the Feelies or Green On Red – who were ahead of their time or just too good to sell as much of their eminently influential music as they deserved. They stood for sensitive, intelligent, hooky, American indie-pop-goes-alt.country-rock of major league quality. No wonder the critics loved them and there was nary a year-end best list without the Silos. The 90s were dominated by Walter Salas-Humara’s restlessness and hunger for experiment. He moved from New York to L.A. to Austin which led to stylistic shifts and rotating band personnel. With alt.country, No Depression and Americana booming, the Silos became one band among many and had to re-establish their status as frontrunners of the genre. They succeeded in doing so with a string of popular albums on Blue Rose between 2001 and 2006 and again in 2011 with the excellent Florizona. This was followed by the solo album Curve And Shake. 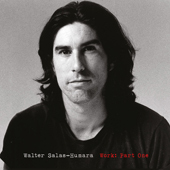 Walter Salas-Humara cemented his status as an important indie musician and darling of the Alt-Americana/No Depression scene. While Curve And Shake had its share of stylistic U-turns and a variety of different vibes – due to the adventurous coupling of material from various sessions with differing musicians -, Work: Part One is a surprisingly homogenous, organically grown, mature production. Teaming up with the experienced multi-instrunentalist and producer Rich Brotherton, Walter Salas-Humara really hit a high point in his recording career. Brotherton is one of Austin’s local treasures, a songwriter sidekick with tons of musical experience and excellence and the ability to create a relaxed, creative atmosphere. He has worked with Bruce & Charlie Robison, Robert Earl Keen, Caroline Herring, Mary Gauthier, Eliza Gilkyson and many more. On this album he functions as a bonafide Americana orchestra playing acoustic guitars, mandolin, dobro, banjo and zither as well as singing harmonies along with Amy Allison. Violin and viola are added by Mary Rowell who also played on most early Silos albums. Kommentare deaktiviert für THE SILOS frontman WALTER SALAS-HUMARA returns with a new solo album! THE SILOS-Frontmann WALTER SALAS-HUMARA ist zurück mit neuem Album!